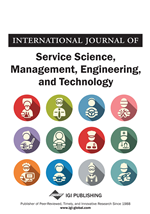 In this paper, a novel scheduling model for a job-shop environment under the effect of sequencing was proposed. The decision variables from a manufacturing company, which consists of two designed parallel machines with zero buffer capacity, each with 10 jobs were investigated. Four scheduling models for the purpose of sequencing were also developed. The variations of the energy consumption and processing time of the machines was also studied to let the designers know exploring better solutions towards enhancing the performance of the machines. Comparison of the optimum results confirmed the conflicting relation of the energy consumption and make-span in the studied job-shop. It was also concluded that the first operating machine had significantly more compressed and accumulated processing hours. Additionally, the primary factors affecting the reliability and efficiency of the machines were identified and examined. The further results have also demonstrated the practical implications of the current analysis from an energy and operational perspective. There is no room for doubt that understanding the value of scheduling primarily resides in comprehending the concept of how manufacturing firms are capable of leveraging and integrating the scheduling frameworks with their existing planning and production infrastructure. As a matter of principle, scheduling is a process, which is significantly contingent upon the decision-making analysis and has been performed on a regular basis for many manufacturing firms, and industrial services with the aim of improving the assignment and issuance of resources to tasks over a considered time period. Effective scheduling methods, which can be performed through assigning the jobs to workstations or employees to jobs for specified time periods, can also aid the managers achieving the full potential of their supply chains. It is noted that the manufacturing processes also take advantage of operations scheduling techniques in numerous ways. The resources and tasks in a manufacturing firm can be attributed considering different occasions. The resources, for instance, can be assigned as machines in a workshop environment, runways at airports, crews at a construction site, and processing units in a computing environment. The tasks may correspondingly be assigned as the operations in production process and services, take-offs and landings at an airport, stages in a construction project, executions of computer programs, and so on. Every task, during the operation of the machines, can have designated priority level, an earliest possible starting time, and a due date. Additionally, the objectives can also be in several different forms. By way of an example, an important goal can be to minimize the number of tasks processed subsequent to their corresponding due dates (Michael, 2008). It is worthwhile mentioning that, in the process of the production scheduling, if we take into account performing deliveries, there is also a considerable demand from customers leading to restrictions, which should be managed and controlled quickly and efficiently. As a matter of fact, the ongoing trend towards the reductions in lead time shows that the scheduling tasks should be carried out through consistently reducing the time intervals. Simultaneously, decreasing the inventory, together with elimination of material buffers in occasions where the customers may request an enhanced service, would make the customer satisfaction quite a challenging process. Such situations would also make the production scheduling more and more difficult to manage in different enterprises. In order to succeed in dealing with such difficulties, it is therefore crucial improving the production scheduling activities using new techniques. Technological aspects also play a crucial role in a scheduled production system. The schedulers should typically cope with uncertainties or technical design complexities in the production process that would also limit the scheduling choices. Hence, in many occasions, schedulers are also obliged to make assumptions and approximations, primarily based on experience (Berglund and Karltun, 2007). One of the most important facets of scheduling for the planners and managers, is the ability of executing control and precision towards planned production programs. On top of that, the visibility and insight supplied through a scheduling solution into a manufacturing firm’s overall supply status yield a more responsive relationship among production, delivery, and customer relations. In order to achieve such a balance, researchers have concentrated on the advantages of job or flow shop scheduling and how manufacturing firms can leverage these benefits for greater efficiency and productivity.